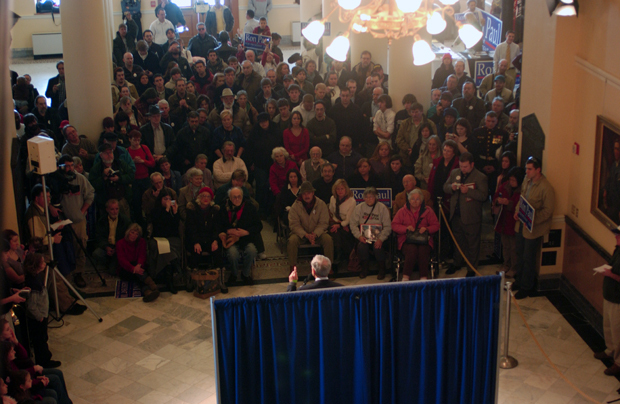 Ron Paul at the Maine Statehouse in Augusta Maine. 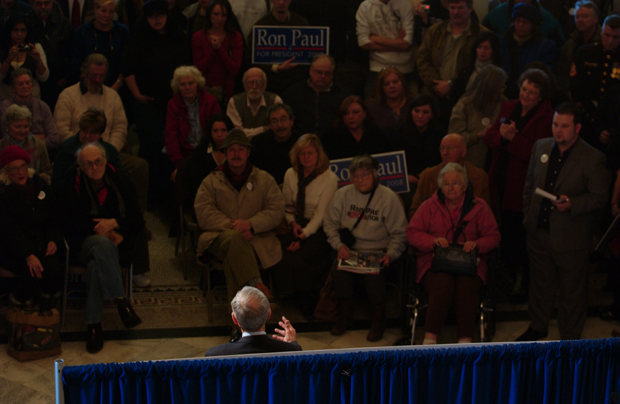 Talking about the Ron Paul-icies of Ron Paul-itics. Ron Paul, the man behind the curtain.